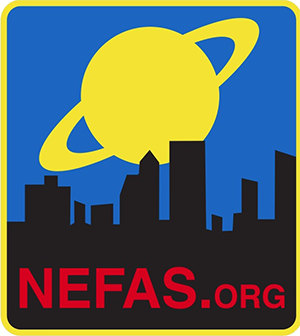 General Meeting of the Northeast Florida Astronomical Society [NEFAS]. All are welcome! Our speaker will be NEFAS member Jim Selph discussing astrophotography. The winner of the membership referral contest will be revealed as well! New telescope? Trouble with your old telescope? Bring it for help from the “Telescope Doctors”. I really wanted to attend the presentation but I had a scheduling conflict. Will the presentation be made available for download? Thanks. We are working on getting all of our speakers and presentations on-line. We had the entire thing filmed as well as the powerpoint slides. Keep watching the FB page for links to them. Hello, I just wondered if you have to be a member to attend and if you need to show some sort of identification or something to ingress the facility and attend the meeting… Thank you! Our General meetings are open to the public and you DO NOT need to show any form of ID or pass to get onto campus or into our meetings. This month we will have a great presentation about astrophotography and astro photo editing as well as we will be announcing the winner of our membership referral contest. We will also be announcing the astro photo contest that will end at the May meeting.